It’s been an exciting couple of weeks for drone lovers and online shoppers everywhere! Since it’s launching, Amazon has been a top choice for those that wish to shop from the comfort of their homes. Accessibility and speed has always been a key component in the success of Amazon. In certain places, Amazon delivers goods in a span of two days—some in a single day. Seemingly no longer content with this, Amazon wanted to up its game and is now in the process of testing their revolutionary Amazon Prime Air. Amazon Prime Air is a delivery system intended to get packages to customers in, get this, 30 minutes or less! The service can boast this delivery time as they will primarily be using multi-motor Miniature Unmanned Air Vehicle (Miniature UAV) or more popularly known as a drone or drones. They intend to autonomously fly individual packages directly from an Amazon fulfillment center to the customer’s doorstep or front yard. While Amazon has been quite hush on specific details, they launched a video which showcased a beta testing of Amazon Prime Air in UK that occurred on December 7, 2016 and from what we saw, we determined a few things. Qualifying customers will be able to select drone delivery during the checkout stage of their order something that’s similar to the normal two-day delivery. In confirmation, a QR code is provided by Amazon which should then be printed and placed outside the customer’s house like a driveway or the front lawn. It serves as a beacon which the drone uses to find the customer’s specific location and will gently set down the package upon the laid out QR code/landing point. The video showed that the first ever packaged delivered via drone contained an Amazon Fire TV and a bag of popcorn. The entire delivery process was completed in 13 minutes. 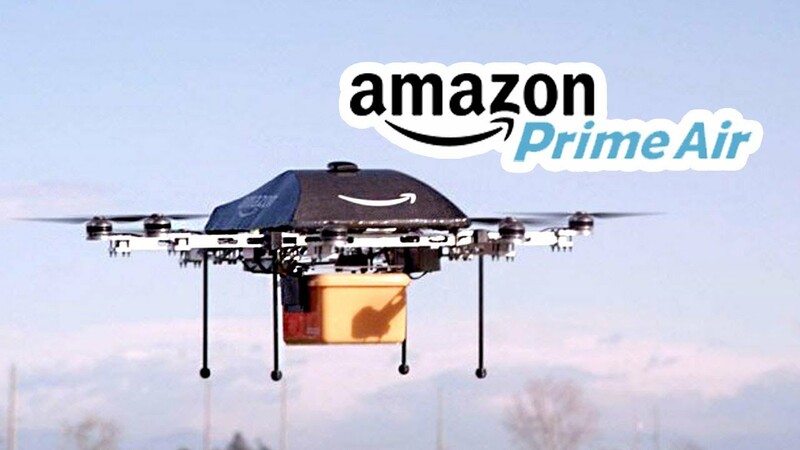 As Amazon Prime Air is determined to keep their 30 minutes or less claim the ordered item or items need to be less than 5 pounds (2.26 kg), must fit within the standard container or cargo box that the drone will carry, and the home of the customer must be within 10 miles radius of a participating Amazon order fulfillment center. It is to be noted that over 85% of packages sold by Amazon are already under the 5 pound requirement which is why they are confident that meeting orders will be fulfilled without much issue. Where else is Amazon testing Prime Air? So far, Amazon has confirmed beta testing in the UK as it has received permission from the UK Civil Aviation Authority for drone operations in rural and suburban areas. Amazon has Prime Air development centers in countries such as the US, Austria, and Israel. Amazon has expressed their desire to start their trials yet have yet to receive permission from Aviation governing bodies. If anything, this shows quite a leap in the utilization of the current technological successes with commercially available drones. While the Prime Air Drone specs aren’t yet available, the initial viewings showed off an octocopter that weighed around 25kg and was estimated to carry up to 2.23kg at the speeds of 80kph. The latter videos launched by Amazon showed smaller drones—so it’s safe to assume that Amazon is testing several types of drones to really narrow down the type that works for them. In any case, we’ll sure to pounce on any and new details about the Amazon drones and Amazon Prime Air!